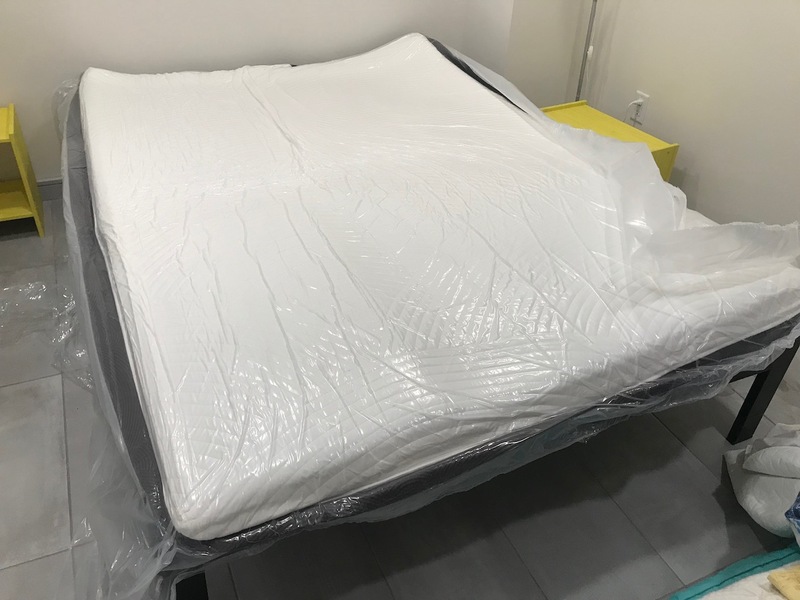 This Nolah mattress review was completed by the MattressJunkie.com team recently. There’s a reason why we named Nolah the best mattress for side sleepers with back pain in our mattress guides. Nolah uses a unique foam called Nolah Air Foam. Nolah Air Foam is made up of billions of tiny air pockets that act as shock absorbers for the body. Nolah is 4 times less pressuring on the back, hips, and shoulders and is more durable than latex. Check out how Nolah stacked up against our review process. Nolah’s moisture wicking, natural viscose fiber and polyester cover play an important role in dissipating body heat while you sleep. The cover is white in color and has a nice, light stretch to it. 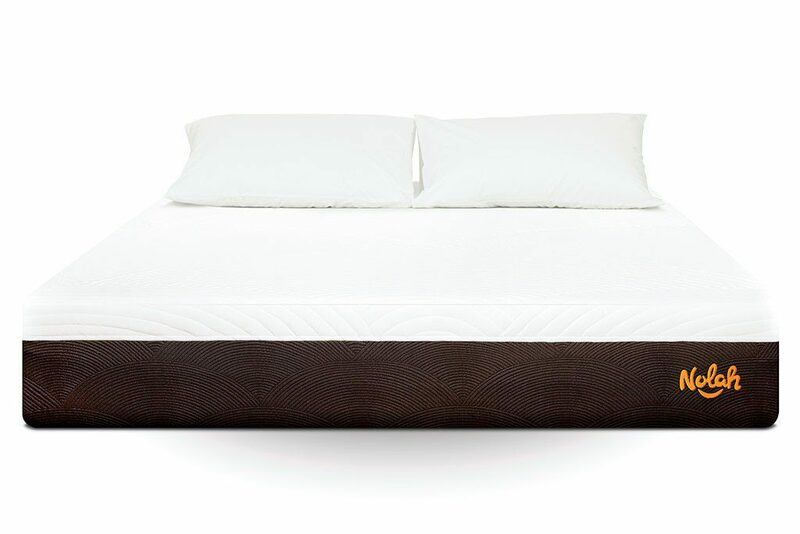 The Nolah mattress is 10 inches tall and comprised of 3 layers of hi resilience polyurethane foam. The first layer is 2 inches of pressure relief Nolah Air Foam. Nolah Air Foam is not temperature sensitive and contours with your body to give you a comfortable feel while relieving pressure throughout keys points of the body. The second layer is 1 inches thick and made of Avena foam. Avena foam is more durable than latex. The Avena foam provides the responsive nature of the mattress and also provides a bounce. 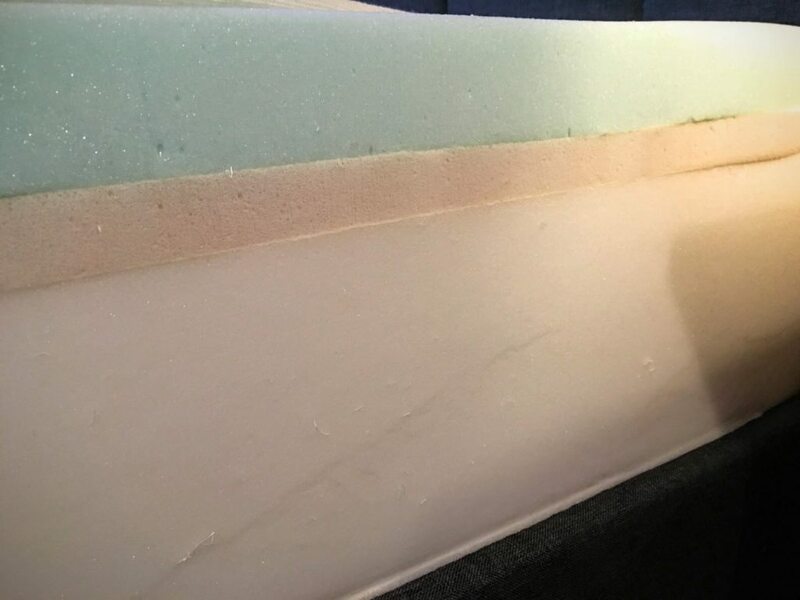 The last layer is made up of 7 inches of high density polyurethane foam and serves as the foundation foam. What level of firmness is Nolah? Nolah’s Air Foam technology provides a softer feel than you usually see from similar mattresses made of memory foam. Nolah provides 4 times less pressure to the shoulders, back area, and hips. The support of the Nolah mattress is superior to anything you would expect with a medium, plush type feel. The pressure relief is perfect for those who suffer from hip and shoulder pain. What Sleep Position Works Best with The Nolah Mattress? The Nolah Mattress provides a great sleep experience for side sleepers. 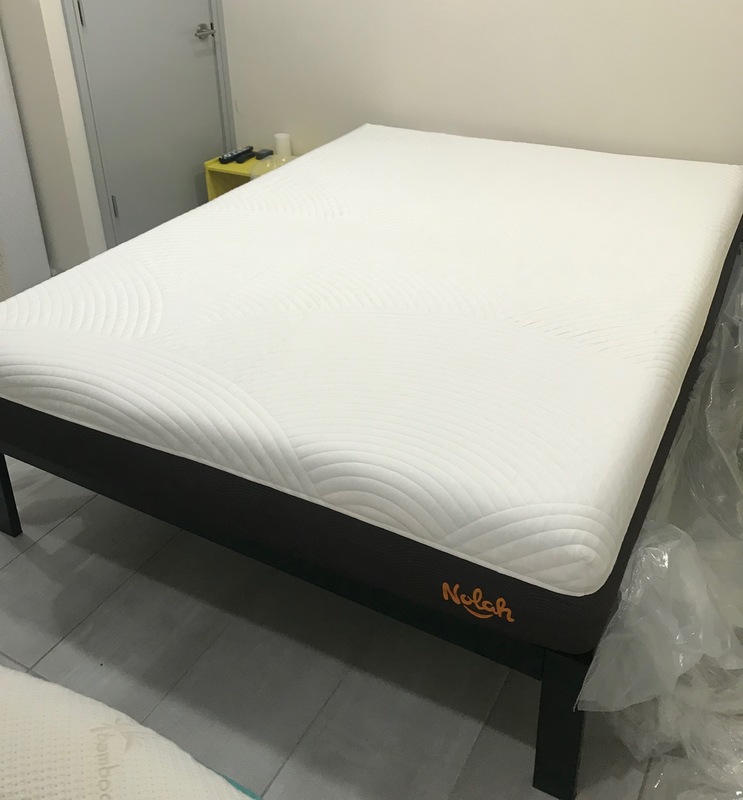 Nolah is slightly softer than you would find most memory foam mattresses and this makes it very comfortable for those who sleep on their side. Back sleepers who like a lush comfortable sleep surface will also find Nolah extremely comfortable. How is the Edge Support on the Nolah Mattress? Whether you sit on the edge of the bed or sleep near the edge, memory foam mattresses are famous for having poor edge support. 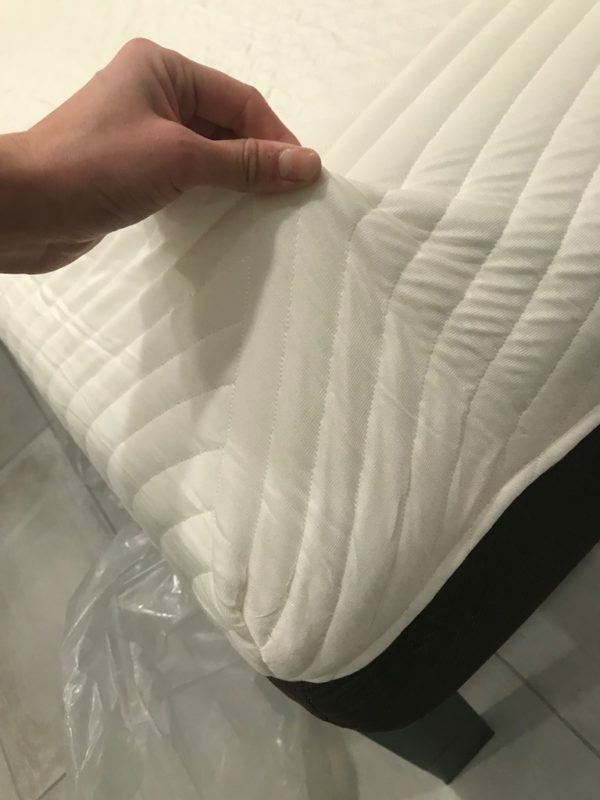 Nolah had good edge support and wasn’t as soft around the edges as some mattresses we have reviewed. 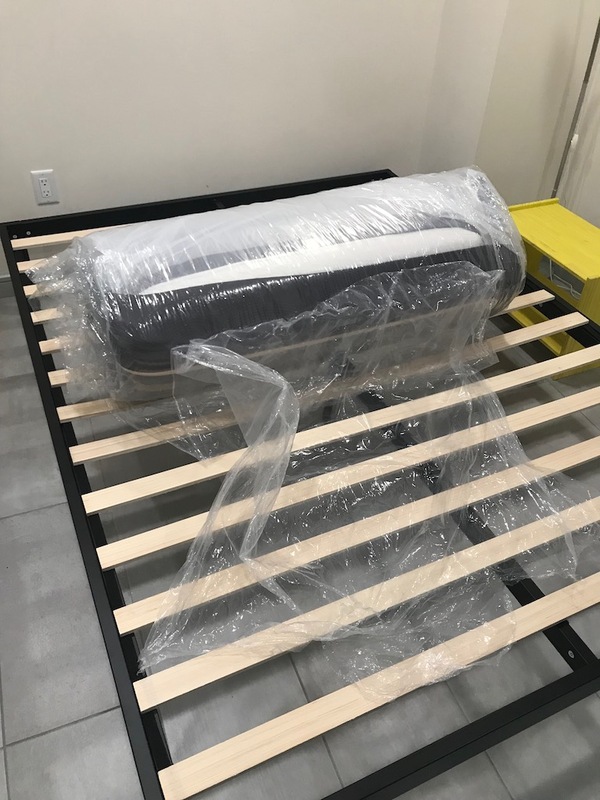 What type of base should I place my Nolah Mattress on? We reviewed the Nolah Mattress directly on a platform bed without a box spring. Nolah recommends sleeping any firm, flat surface such as a box spring, platform bed, floor, or adjustable frame. Will Nolah have a chemical smell when taken out of the box? Most mattresses have an odor to them when you unroll and remove the vacuum sealed plastic. This chemical type smell is called off-gassing. Off gassing is not harmful nor toxic in any way. As your mattress breathes, the off-gassing smell will fade. Nolah had no off gassing odor after it was taken out of the packaging and was able to breathe. What Type of Return Policy and Warranty Does Nolah Offer? Nolah offers a 120 day sleep trial so you have 119 days to ensure you love your mattress or you get a full refund. Nolah offers a 15 year warranty. Is Nolah Made of Safe Materials? Nolah is made in the US and CentriPUR certified to be free of harmful toxins. How much does Nolah cost? 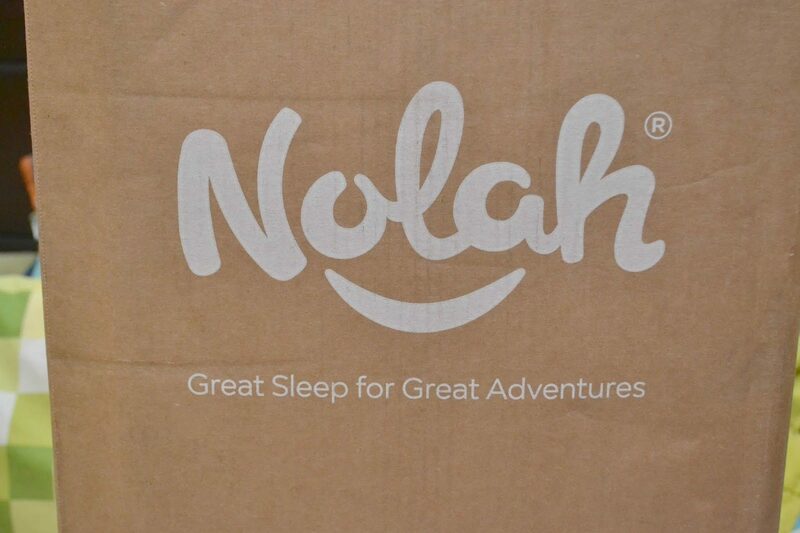 Nolah is one of the coolest sleeping mattresses that we have reviewed. If you tend to sleep hot, Nolah is perfect for you. Something else really cool about Nolah. They love giving back! 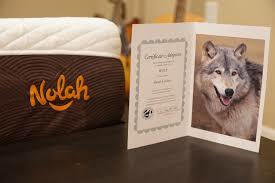 For every mattress sold, Nolah adopts a wildlife animal in your name. Defenders of Wildlife sends an adoption certificate to you with information about your animal. Start your 120 night sleep trial now….